An affordable and effective solution to remove unwanted ink! a) We often don’t see the patient again after the tattoo is 100% gone in order to get the “final” after picture. b) Showing the result of tattoo removal when there is a “hint” of the tattoo remaining allows you to see that it is, in fact, the same person! 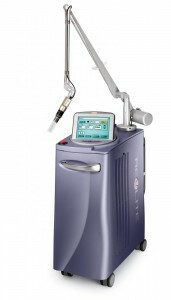 Now utilizing the latest technology, the Cynosure RevLite Laser is effective in removing all ink colors! For some, tattoos represent an impulsive decision that now may affect the rest of their lives. For others, the tattoos are simply no longer relevant to their lives today. Lasers are the safest and most effective way to remove tattoos. The RevLite is the gold standard tool for this sophisticated procedure, using up to four different wavelengths to remove multiple colors of tattoo ink – including RED INK! The RevLite laser uses PhotoAcoustic energy to safely penetrate the skin and target the tattoo at its core. Each pass of the laser vibrates and gently shatters the tattoo ink into micro-particles that are eventually eliminated through the body’s natural processes. Because the laser delivers the energy in a very precise ‘beam,’ the Laser Technician can trace the design without damaging the surrounding skin. Patients say the experience feels similar to the tattoo application itself – a snap of a rubber band followed by a feeling of warmth. That said, it takes much longer to remove a tattoo than to get a tattoo – about 5 to 8 sessions, depending on the amount of colors, the size of the design and the type of ink. Black tattoos are easier to remove than multi-colored designs — but all tattoos must be treated with the proper laser. Our office provides topical anesthetic to minimize the discomfort. After the first few treatments, you’ll notice a temporary whitening of the treated area. Over time, the tattoo fades and the skin returns to normal color. PhotoAcoustic technology is the hallmark of the RevLite Q-Switched Nd:YAG lasers. This laser is very different from other lasers that rely on heat-based or photo-thermal energy. The high-speed light energy is released in a series of very fast (nanosecond) pulses, causing it to gently vibrate and shatter the targeted molecule deep within the skin – whether it’s tattoo ink, pigment or unwanted hair. The laser energy also targets the building blocks of healthy skin, stimulating new collagen growth to replenish the collagen we lose as we age. Because PhotoAcoustic energy is quickly absorbed, treatment is extremely safe with virtually no risk of damage to the surrounding skin.